Seated nearby Zihuatanejo and Acapulco is a city in the municipality of Zihuatanejo de Azueta known as Ixtapa. Once a coconut plantation and mangrove estuary, Ixtapa is now a world class resort city with its beach as the main hub for all activities. Ixtapa has attracted a following of loyal guests who fly to Ixtapa to enjoy its waters, sunny weather, historical sites, and many more. If you still don’t have any idea on what to do when you’re in Ixtapa, read on to learn about the best things to do in the city. Top 10 VRBO Vacation Rentals In Ixtapa, Mexico With Ocean Views! 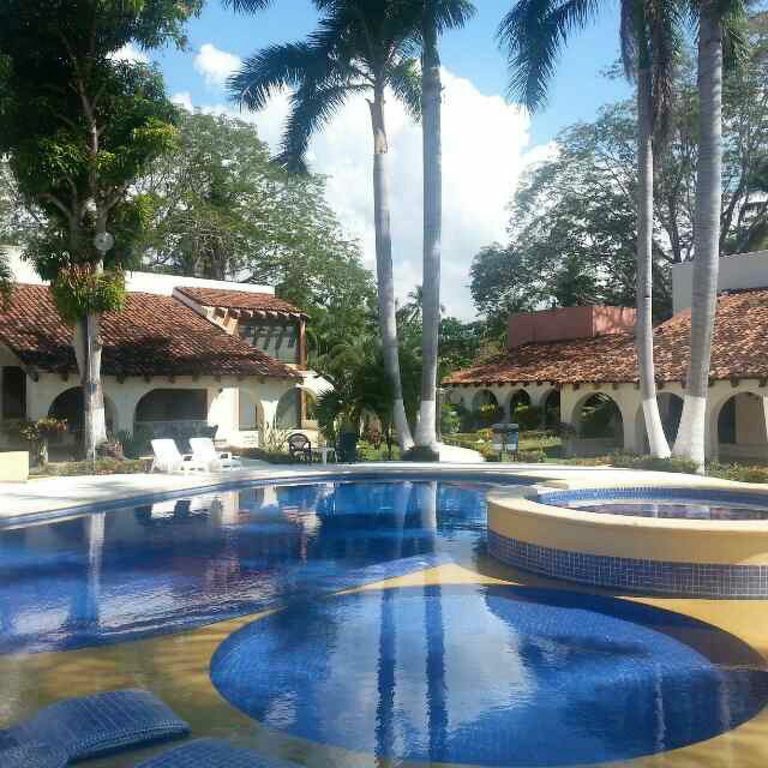 Traveling to Ixtapa as a family? Then Delfiniti should be on your list of “places to visit”. Definiti in Ixtapa opened a way for people to mingle with dolphins. This attraction in Ixtapa is not only for those with little children but pleasing even for teens. Adults are also welcomed to release their inner child. Enjoy a variety of dolphin-related programs such as swimming with dolphins, dolphinotherapy, dolphin-marriage, and an up close encounter with dolphins. Mayan civilization were one of the great contributors of the ancient world and Mexico is blessed to still have remnants of Mayan culture. Close to Ixtapa is the ruins and archeological site of Xihuacan, only half an hour drive from Ixtapa. Here, visitors have a good glimpse of this mighty civilization with structures dating 3,000 years ago. The main ruins in the site is the pyramid called “Soledad de Marciel”. The museum houses relics and excavated items like vases, pots, ceramics, axes, and more. Ixtapa was carefully crafted with a master plan developed by topnotch architects Enrique and Agustin Landa Verdugo. Hence, get out of your resorts and explore downtown Ixtapa and see for yourself the brilliant urban planning of this resort town. The downtown area features a well defined street layout organized in superblocks and cul-de-sacs within. The beauty of Ixtapa is a tourist attraction itself – even attracting filmmakers to making Ixtapa the venue of choice for their films. While in downtown Ixtapa, enjoy the local scene, go shopping or enjoy dining in one of the many restaurants in the area. Catch a Mahi-Mahi, bring it to the grill, prepare cool drinks and swim in the pool for a great afternoon in Ixtapa Nautica. With eternal sunshine, and great sea views, golf seals the deal of making Ixtapa a top notch destination. Golf remains a favorite activity especially among business travelers and one of the top golf courses is Marina Ixtapa Nautica Golf Club. The Marina Ixtapa Nautica Golf Club is an 18-hole course designed by Robert Von Hagge as part of the multi-million dollar Marina Ixtapa project. Opened in 1994, Marina Ixtapa Nautica Golf Club has been frequented by tourists on a luxury travel adventure. As the biggest marina in Mexico, this golf course has two courses on the opposite ends of Ixtapa’s hotel strip and is renowned for its exceptional caddy service. A small island near Zihuatanejo in the Mexican state of Guerrero, Isla Ixtapa is a haven for diving and water sports enthusiasts. Upgrade the usual boating trip with snorkeling, giving more ideas on what to do in Ixtapa beyond the beachfront. Isla Ixtapa features a coral beach that faces the open ocean as well as a coral reef just offshore. The water is calm all year-round, making it safe and enjoyable to see the underwater beauty of the island’s surrounding waters. Las Gatas Beach or “ Milk Beach” is named after this protected cove’s white sand. Though it can get crowded, Las Gatas Beach is still undeniably a must-visit while in Ixtapa. Enjoy the whole day swimming or snorkeling. Sip coconut juice or dine on fresh seafood while enjoying the lively activities on the beachfront. A great beach for families, Las Gatas Beach is more than just a beautiful beach. Playa el Palmar is a beach as well as top tourist destination in Ixtapa. Surrounded by many hotels and a dolphinarium on one end, it’s hard to miss this main beach in Ixtapa when visiting. Swim, lounge, relax, sunbathe, this is the center of Ixtapa’s tourism. It has been dubbed by tourists as the most beautiful place in Ixtapa having the best sunset views in the entire Ixtapa area. Feeling lucky? Try your luck at WinClub Casino, a small casino located at Ixtapa Bouldevard. It has about 50 slot machines and an after-4pm tables for games of Blackjack, Texas Holdem, and other card games. See a different angle of Ixtapa on wheels! Ciclopista de Ixtapa is an amazing Mexican resort town that features a stretch perfect for biking. Throughout the entire path is a well preserved nature trail treating bikers to a nature-filled biking session. At the end of the trail is a crocodile area, also referred to as ‘Cocodrilo Charmer’ and is likewise a tourist attraction. Filled with bays and beaches, museums and archaeological sites, dolphinariums and well preserved parks and marine ecosystem, you will surely fall in love with Zihuatanejo – together with the laid back lifestyle it offers. Immerse in a different culture, let loose from the hustle and bustle back home with Zihuatenejo’s resort vibe. If you can’t get enough of the beach, Zihuatenejo is home to the famous Playa La Ropa. With all these activities, Ixtapa is a Mexican resort destination to discover and get acquainted with. Once you’ve been there once, there is no reason why you wont keep coming back. From beach bums to luxe travelers, Ixtapa is hard to skip in Mexico. Valerie Caulin is a travel and lifestyle writer and runs her own blog, www.valcaulin.com. She loves writing about hotels, family travel, and anything related to history and culture.